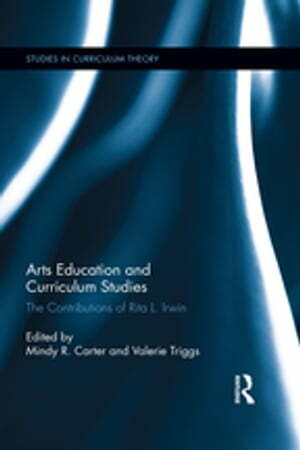 Collins Booksellers - Arts Education and Curriculum Studies by Mindy R. Carter & Valerie Triggs, 9781315466996. Buy this book online. Highlighting Rita L. Irwin’s significant work in the fields of curriculum studies and arts education, this collection honors her well-known contribution of a/r/tography to curriculum studies in the form of arts based educational research and, beyond this, her contributions towards understanding the inseparability of making, knowing, and being. Together the chapters document an important beginning, as well as an ongoing transitional time in which curriculum understood as aesthetic text is awakening to the ways in which art practices stimulate a social awareness at the level of other embodied practices. Organized in three themes, gathering, transforming, and becoming, this volume brings together a selection of Irwin’s single and co-authored essays to offer a variety of rich perspectives to scholars and students in the field of education who are interested in the ways in which arts-based research allows the possibilities of bringing together the artistic, pedagogical, and scholarly selves of an educator.